Pave-Set Diamond Engagement Ring | Shane Co. This classic engagement ring features 12 round diamonds, at approximately .51 carat total weight, and each exceptional stone has been hand-matched for brilliance and sparkle. 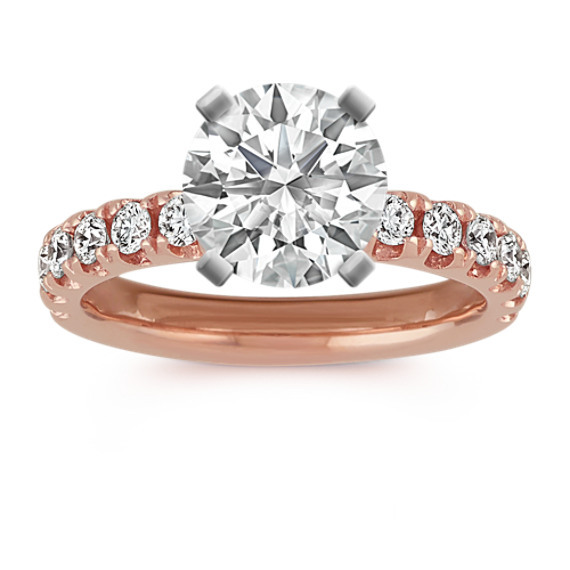 These pave-set diamonds are complemented by a shimmering 14 karat rose gold setting. Add the center diamond of your choice to complete this 3mm wide setting.